Today I reverse engineered the I2C backlight control protocol and I found something very interesting. The V1.0 display supports 256 levels of brightness control. It's just the Pi firmware which prevents you from using anything other than full on and full off. If you connect the display to your own I2C master you can send the same command with a different parameter. edit: instructions on how to do this removed in light of my post below. So my question: if the display itself supports brightness control, why is it not enabled in the firmware? Last edited by ali1234 on Sun Jul 31, 2016 12:31 am, edited 1 time in total. I too would like to know why this feature is not available for us using the first version of the board? Interesting. Can you elaborate on "connect the display to your own I2C master" ? Okay I finally got to the bottom of this. 1. The V1.0 attempts to implement "PWM on SHDN pin", and the V1.1 implements "filtered PWM". The difference between those modes is explained on page 10 of the datasheet. 2. 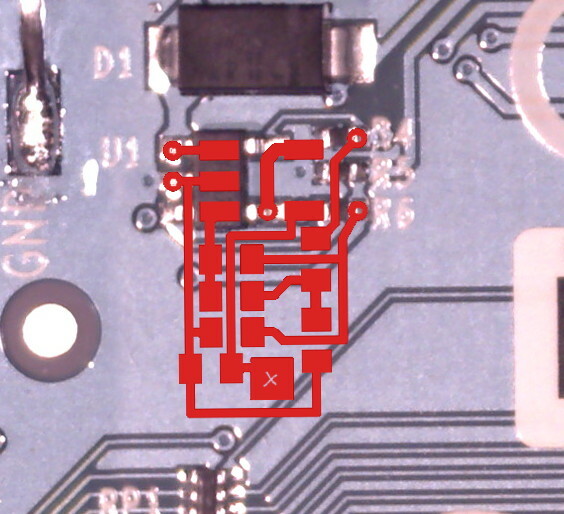 The V1.0 is incorrectly laid out, and the VIN and SHDN pins have been reversed. That means the PWM signal is incorrectly fed into the voltage input instead of SHDN, while the SHDN line that is supposed to be PWM'd is connected directly to VCC. This is bad and to be honest I don't understand how the thing even works. It must be drawing parasitic power through the SHDN pin. It is almost certainly why the PWM has been disabled in software. As for telling you how to force the V1.0 to PWM. I don't think that is a good idea given the layout error. Will be interesting to get some feedback from RPF folks in this one and see if it brings up the 1.1 board as a separately orderable product again. The adjustable backlight was discussed as a standard feature in the months/years before the screen was originally released. At launch, I bought one expecting this worked, because I didn't look closely at the launch notes only that indicated on/off backlight control. The stories after launch hinted that they had discovered the problem at the last minute and simply downgraded the feature (thus, the hardware was designed to have the capability, but something was miswired and couldn't simply be fixed in software). Nice to see a concrete explanation of the problem, thank you very much for delving into this. And yes, I would dearly love to buy a v1.1 controller board separately, even at a substantial portion of the cost for the entire display, just to salvage that first display (I bought a second one to use for the primary project I'd intended - a home automation/weather station control panel with continually adjusted brightness - the boxed first display is sitting on a shelf, would love to use it but not at full-brightness-only). The v1.0 display did feel a bit like a bait-and-switch... if you need to pull a feature at the last minute, fine, but if you remove a previously-discussed feature, mention that up-front as a caveat in big bold print, rather than having the 27th bullet point say "includes on/off backlight control", merely omitting the key/expected word "adjustable" - that's awfully easy to miss. It was putting the best face on it, sure, but felt like a disservice to the customers - uncharacteristic for the foundation. "X" needs a jumper wire to PP19. edit: you also need to reflash the AVR chip to the V1.1 firmware. I had the hardware mod made at oshpark. Works like a charm. As your original software approach was working then why not allow us to try it? What would be the consequences of applying that? In your original post you seemed to have it working fine. It kills the boost converter eventually. I know this is an old thread, but followed the link here from a new thread. Would it be possible to unsolder pins 4 and 5 of U1, lift up that side of U1 (perhaps while heating pins 1, 2, and 3), and then connect pins 4 and 5 to their correct pads using fine wire? That would work I suppose. You need to put the jumper wire in too. By the way, I don't think the chip is drawing parasitic power through -SHDN, at least not when the display is lit. It's probably drawing power from the ATTINY's P0 pin (and hence the display only lights up when P0 is high). If it were drawing parasitic power through -SHDN, the display would stay lit up even when P0 is low. @Ali1234 - is the v1.1 ATtiny firmware available anywhere? Another possibility, I think, would be to build just the low pass filter (R32, R33, and C74 from ali1234's schematic) on its own little board (one could even use a piece of strip board and through-hole components), connect it to U1's pin 3 and ground on the V1.0 controller board, and drive it from the RPi's PWM GPIO pin, completely independently of the display firmware. Leave the existing miswiring in place and the display turned on (via the firmware).